Girls look great-hearted in this bodycon dress. 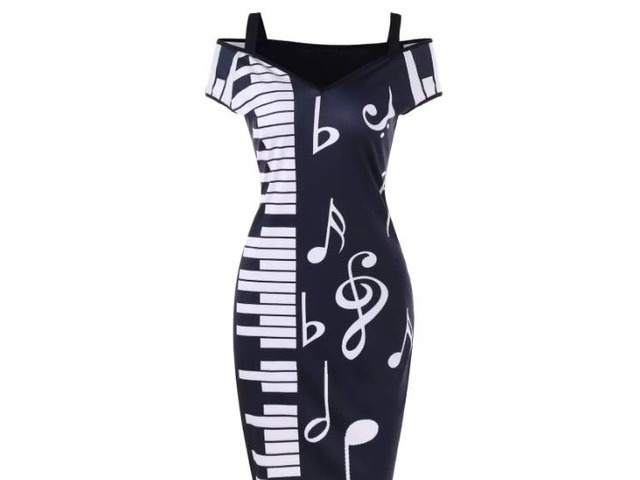 Featuring a femme sweetheart neckline with a sultry cold shoulder design, musical notes and piano keys print for added appeal, You'll stay cool in this dress. 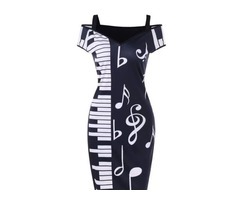 It shows fashion and female charm, specially suitable for music buffs, you can wear your favorite music on the body.